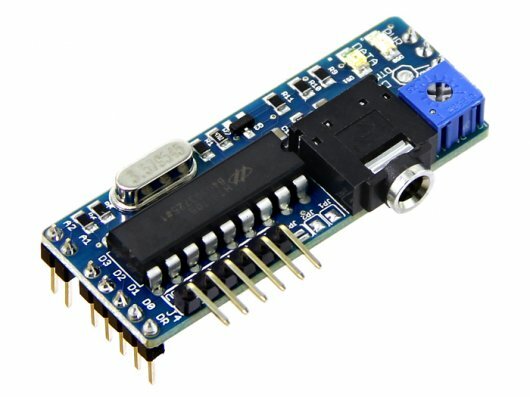 We offer two DTMF shields for Arduino. The basic and the plus models as shown below. Chose the one that fits best your project. Detect Cell Ringing: the incoming audio from a cell phone is amplified and fed into an Arduino analog port. The Arduino code will monitor the amplitude of this signal and consider the phone is ringing when signal is above configured threshold. Answer Call Button: emulates the button on a headset. Play WAV into calls: play files from the MicroSD card. Required conversion to RAW. Easy Debug: the basic DTMF shield require an oscilloscope to measure signal amplitude into the board. 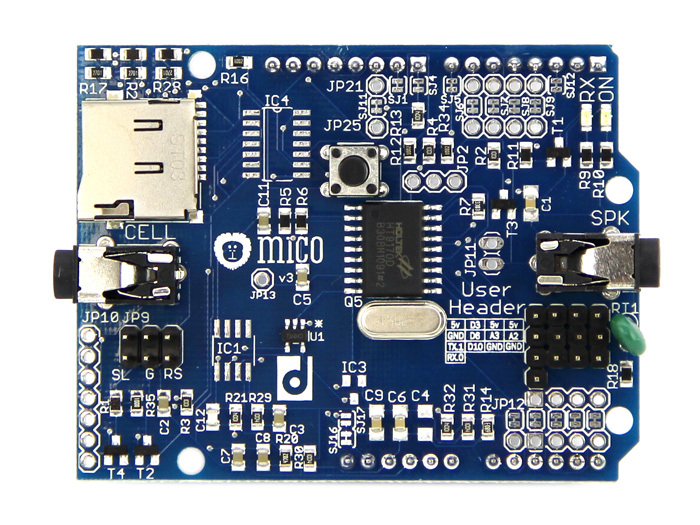 The plus model MICO DTMF shield has a built-in amplifier that let you measure the amplitude of the input signal in a provided sample sketch.